If it's available to buy, its in stock!! When retroUSB started it was with spare parts in a guest bedroom retrofitting NES controllers. Then came the first USB adapters, a huge step to take a product to full manufacturing. Now chinese copies are everywhere. We mastered controllers and realized we could do more. 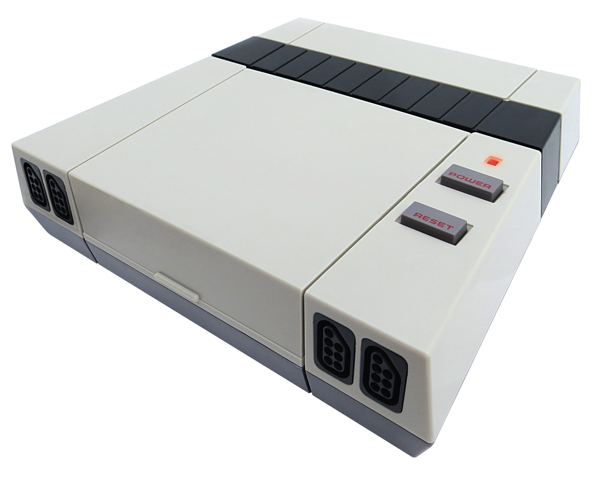 We brought you the first NES homebrews using all brand new parts. 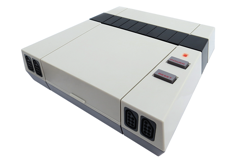 This continuing effort expands the future of NES gaming, and fulfills the childhood dreams of many programmers. Next we went high tech with the PowerPak, a groundbreaking flash cart. We mastered cartridges and realized we could do more. 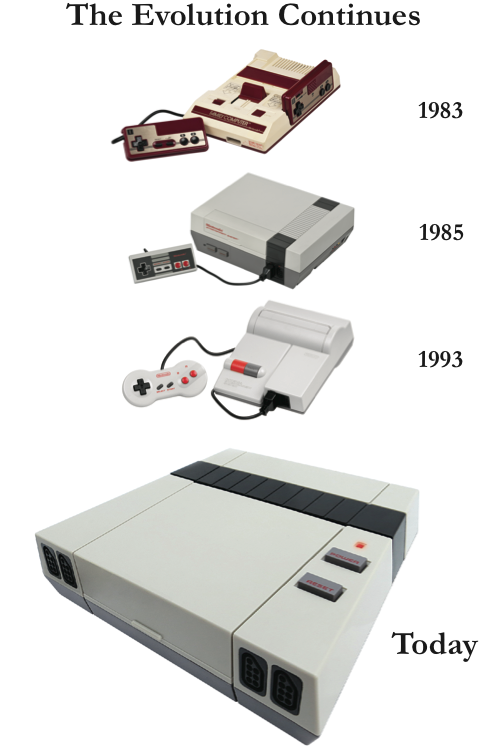 We realized we could use our full knowledge of the NES to build great devices. We realized we could use our devices to build great experiences. 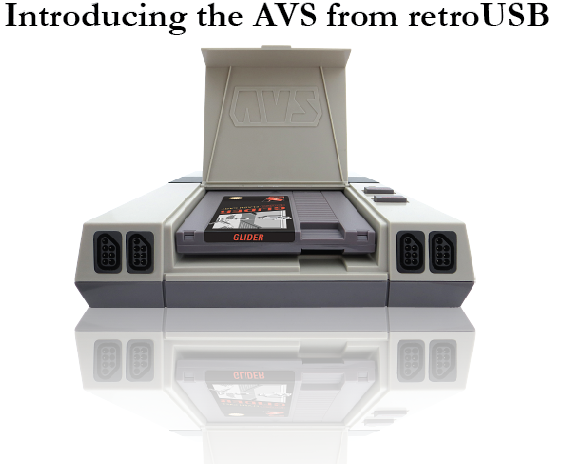 Starting today, retroUSB takes the next step in the evolution of the NES to bring you the AVS. Thirty years after the NES, retroUSB becomes a complete console company. The AVS is a console as beautiful as the pixel perfect HD images it generates. Couldn't be simpler, works just the way you expect it to. Real hardware means no boot or loading times. No stolen software emulators or buggy NOAC chips. A wide range of gamepad, video, and cheat options to play the way you want. We decided a few key features define the experience. From the start we were dedicated to the ultimate in compatibility for both NES and Famicom. Not just all past carts, but future ones as well. Not just compatibility with carts, but gamepads too. All regions, all devices. It's so bad even your Power Glove works. That attention to detail extends to the HDMI video, with super sharp pixels. Zero lag scaling, optional scanlines with variable darkness, and multiple regions let you select the perfect picture. Set horizontal scaling anywhere from square pixels to super wide screen. A NES with composite compared to the AVS is a stunning difference in picture quality. The design even extends to the back, with a standard USB cable for power that can be plugged into the back of many TVs. No ugly power brick needed. No problem when you need a replacement in 20 years. With a commitment to the future of the system we add an additional line of new homebrew carts. A wide range of games from a Galaga-style shooter to a music cart to a kid friendly coloring game. True retro games instead of merely retro styled are a hallmark of the system. Explore new worlds created by those who grew up with the system. The computer industry does not make devices to last the generations. The style of the day is a world away 10 years later. Today�s machines wont run tomorrow�s software. Your smart phone is replaceable in 2 years. The AVS does not follow these rules. This iconic design will be recognizable a decade from now. Those same great carts will still be enjoyed and I hope you will be using the same piece of hardware you pick up today. Write your initials on the bottom like a kid and remember that moment when you are 50. Let�s have the next generation enjoy these games too. This is what technology is for. Its not about megahertz and gigabytes. Its about reliving those special memories, and creating new ones. Its the sound the plastic makes when you slide in a familiar game. Its about discovering a new game, even if that game is 30 years old. 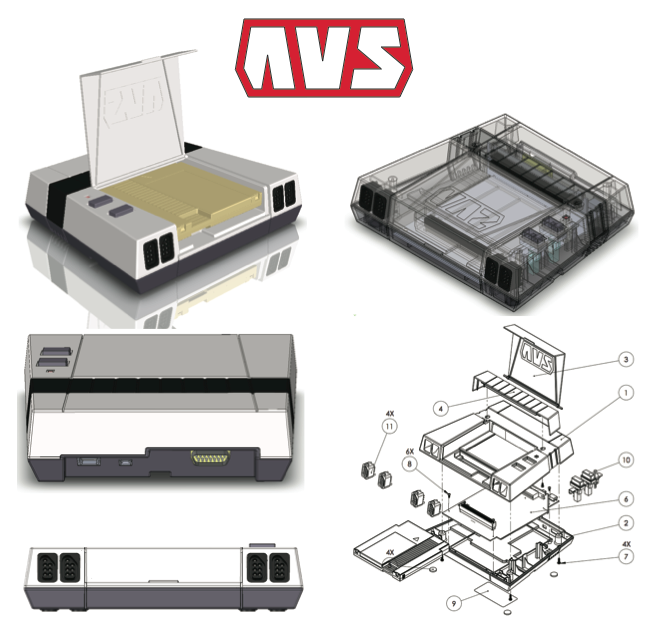 Play your NES carts in amazing HD with the AVS! Video: 720p wide screen HDMI output. Supports 60Hz (NTSC) and 50Hz (PAL) for worldwide TV compatibility! Carts:Slots for both NES and Famicom carts. Supports all regions and all carts, NTSC, PAL, Flash Carts (PowerPak), Pirates, Hacks, Homebrews, etc, etc, etc. Power: USB Mini B for power and data - Plugs into any 5V USB port/power adapter for worldwide compatibility! Plugs into your computer or laptop for easy updates! Current Firmware, use this one! Note: Depending on your internet browser, you may need to right click the file link and select "save as" or "save link as". Scoreboard software - This is the program you need to update your AVS! View Scorboard high scores on NintendoAge!